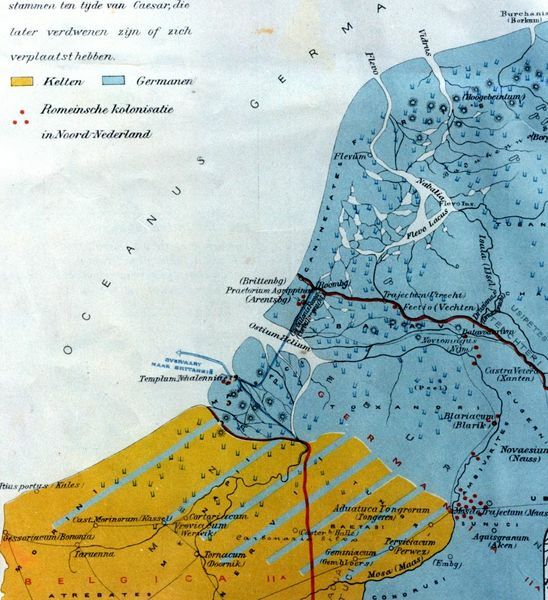 Notice: Undefined offset: 8192 in /var/www/vhosts/111/138386/webspace/httpdocs/handofhistory.com/photos/include/debugger.inc.php on line 112 Hand of History - Image Gallery/A Roman Era Map of Belgica c. 50 B.C. A Roman Era Map of Belgica c. 50 B.C. Celts north & east of the Rhine (Holland/Ger-many) were overrun by Germanic tribes (blue) who then made inroads (blue lines) into Celtic lands (yellow) in Belgium & North France forcing Celtic tribes southwest, the one encroaching on the other, while Caesar's legions overran Celtic Gaul, turning it into a vast Celtic cemetery.